Receiving a cat subscription box should make you feel like it’s your cat’s birthday every month, but if you opt into the wrong service, you’ll end up with regrets and a house full of unwanted toys. In this article, you’ll learn how to choose a great one. Are cat subscriptions worth it? Here are a few thoughts on the practicality factor. The average cat subscription box will add up to around $300 a year in toys, gadgets, treats, and accessories—that’s about the same as a year of pet insurance coverage. If you have to choose between pet insurance and a subscription box, it’s clear which is the practical choice. To offer a satisfying experience, the creators of the best cat subscription boxes must add something special to each box. Subscription box services may add value with convenience, deeply-discounted items and a great value month after month, unique handmade products you’d never discover otherwise, or pack it all into a catnip-scented box that drives your cat wild. What makes a great cat subscription box? They should offer a great value. The best cat subscription box services make cancellation easy. While it’s always easy to cancel the subscription in theory, some services make things more complicated. Great cat subscription boxes offer personalization. Whether that means a note addressed to your cat or the ability to choose the types of products included in the box, a little uniqueness makes each delivery a reason to celebrate. They should offer interesting, high-quality products. Each box is filled with what the company describes as “unique items designed to keep your cat happy, healthy, and fit”. These include treats, toys, accessories, gadgets, and other items. Treats are available to US customers only—if you’re purchasing KitNip boxes outside of the US, you can expect other goodies in lieu of the standard treats. You can’t choose the types of treats you want to receive based on your cat’s sensitivities and preferences, but you can opt for a treat-free box if you’d rather not get food. Each month, a portion of the proceeds are donated to shelters, rescues, and other organizations dedicated to promoting feline welfare. The company invites you to send an email recommending an organization you’d like them to support. If a box every month is too much for you, you may prefer a quarterly or bimonthly subscription. KitNipBox subscription boxes are currently available in the United States, Canada, and Australia. If you’d like to receive the boxes in another country, you can email KitNipBox and they’ll do their best to help you out. Shipping is free to locations in the United States. KitNip boxes are also delivered to Canada and Australia, but they charge $6.95 and $7.95 shipping to these countries, respectively. *KitNipBox is only available to customers based in North America, but its planning on expanding its reach to countries worldwide. 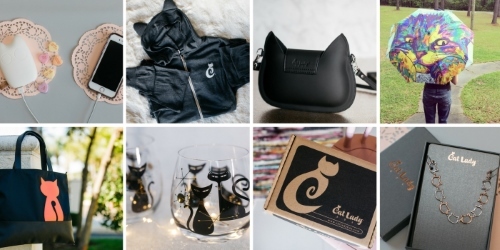 While this cat subscription box is a scratch more expensive than some others on this list, it has an interesting twist. The Cat Lady Box is designed for both cat ladies and their kitties. You can choose between a box stuffed with gifts for the cat-loving human or one for both humans and cats. 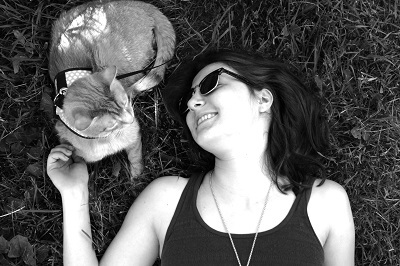 Each month, a portion of the Cat Lady Box’s profits are donated to cat rescue organizations. The company supports independent artists and small businesses, so you’re likely to find some unique and interesting pieces in each box. You can start your subscription by paying for a 1, 3, or 6 month plan. If you or someone you know loves cats but doesn’t have one right now, a one-month purchase of the CatLadyBox might make a good gift. Shipments are limited to the United States, Canada, and the United Kingdom. You’ll get free shipping if you live in the U.S. Canada shipments will cost $8.95, while UK deliveries will cost you $12.95 per box. 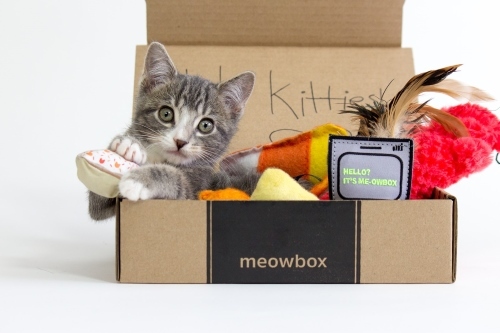 Meowbox emphasizes high-quality toys and treats. Each box comes filled with 4-6 items made for cats in Canada or the United States. If you’d prefer that your cat’s box come without any food, you can opt to exclude edible items and they’ll be replaced by non-edible gifts for your cat. Meowbox shipments also include products from their own exclusive line of branded toys. If you want to replace these items, you can always order individual products from meowbox’s online store. This is one of the most customizable cat subscription boxes available, allowing you to decline products you’d rather buy separately. Every box is curated according to a monthly theme. Past themes have included Compliments to the Chef, Bring on the Mew Year, and The Barpurr Shop. If you’d rather receive a box every two months than once a month, you may prefer the bimonthly option. is sprayed with a “magical kitty potion”. For every meowbox sold, the company donates a can of food to a shelter cat. The WhiskerBox brings you each month’s gifts in a bold, stylish purple box. Each box comes with a customized card describing the contents of the box and the monthly theme. According to the subscription box’s website, the team behind WhiskerBox selects exclusive, unconventional products and tests them to ensure that they’re feline-approved before including them in the WhiskerBox. The subscription box has two tiers. Each box is curated according to a monthly theme. The top subscription level is the only subscription box to send you apparel for your cat. It contains 4-6 items, apparel, toys, and treats. WhiskerBox offers shipping to the United States and Canada. It will cost an additional $15 to receive your shipment outside of US and Canada. While the other subscription boxes on this list are cat-exclusive, Cuddle Crates cover almost every type of furry pet. In addition to boxes for cats, this company allows you to customize your Crate to include species and size-specific products for tiny dogs, small dogs, medium dogs, large dogs, gerbils/hamsters, and rabbits/guinea pigs. Once you’ve specified the details of your furry family, you’re offered a range of subscription types and rates. Cuddle Crate allows you to choose between a monthly and bimonthly shipment calendar. You can choose from a 1, 3, 6, or 12 month plan to whittle down your monthly costs. Shipping is free to the lower 48 United States.